Has anyone tried PQQ (Pyrroloquinoline Quinone)? Doctor's Best wrote: PQQ with BioPQQ ™ helps provide neuro-protective properties which help inhibit memory loss, improve cognitive function, reduce neuropathic discomfort, and protect the entire central nervous system. PQQ is a polyphenol whose antioxidant properties are crucial for protecting energy-producing mitochondria. PQQ also acts as an enzyme co-factor essential for the biogenesis of new mitochondria and the stimulation of nerve growth factor. So that's the marketing, what do the studies state? Beneficial effects of a pyrroloquinolinequinone-containing dietary formulation on motor deficiency, cognitive decline and mitochondrial dysfunction in a mouse model of Alzheimer's disease. Alzheimer's disease (AD), a progressive neurodegenerative disorder, is linked to oxidative stress, altered amyloid precursor protein (APP) proteolysis, tau hyperphosphorylation and the accumulation of amyloid-β (Aβ) plaques and neurofibrillary tangles (NFT). A growing body of evidence suggests that mitochondrial dysfunction can be a key promoter of all of these pathologies and predicts that restoration of mitochondrial function might be a potential therapeutic strategy for AD. Therefore, in the present study, we tested the beneficial effect of a nutraceutical formulation Nutrastem II (Nutra II), containing NT020 (a mitochondrial restorative and antioxidant proprietary formulation) and pyrroloquinolinequinone (PQQ, a stimulator of mitochondria biogenesis) in 5XFAD transgenic mice. Animals were fed Nutra II for 12 weeks, starting at 3 months of age, after which behavioral and neuropathological endpoints were determined. The data from behavioral test batteries clearly revealed that dietary supplementation of Nutra II effectively ameliorated the motor deficiency and cognitive impairment of 5XFAD mice. In addition, Nutra II also protected mitochondrial function in 5XFAD mice brain, as evidenced by declined ROS levels and membrane hyperpolarization, together with elevated ATP levels and respiratory states. Interestingly, while Nutra II treatment only slightly reduced soluble Aβ42 levels, this formulation significantly impacted tau metabolism, as shown by reduced total and phosphorylated tau levels of 5XFAD mouse brain. Taken together, these preclinical findings confirm that mitochondrial function may be a key treatment target for AD and that Nutra II should be further investigated as a potential candidate for AD therapy. In order to determine if Nutra II could improve mitochondrial function in the brains of 5XFAD mice, brain mitochondria were isolated from WT and untreated and Nutra II-treated 5XFAD mice. The respiratory rates (indexed by State III−V), ROS production, mitochondrial membrane potential (MMP) and mitochondrial ATP levels were determined. 5XFAD mice exhibited increased brain ROS levels, which was accompanied by significant mitochondrial membrane hyperpolarization (Table 1). Nutra II reversed these elevations of ROS and MMP hyperpolarization, while elevating ATP and respiratory rates. Therefore, the improved locomotor and cognitive performance observed in 5XFAD mice after Nutra II treatment is likely related to elevated brain ATP levels and respiratory rates, together with reduced ROS levels. Effects of Antioxidant Supplements (BioPQQ™) on Cerebral Blood Flow and Oxygen Metabolism in the Prefrontal Cortex. Adv Exp Med Biol. 2016;923:215-222. Pyrroloquinoline quinone (PQQ) is a quinone compound originally identified in methanol-utilizing bacteria and is a cofactor for redox enzymes. At the Meeting of the International Society on Oxygen Transport to Tissue (ISOTT) 2014, we reported that PQQ disodium salt (BioPQQ™) improved cognitive function in humans, as assessed by the Stroop test. However, the physiological mechanism of PQQ remains unclear. In the present study, we measured regional cerebral blood flow (rCBF) and oxygen metabolism in prefrontal cortex (PFC), before and after administration of PQQ, using time-resolved near-infrared spectroscopy (tNIRS). A total of 20 healthy subjects between 50 and 70 years of age were administered BioPQQ™ (20 mg) or placebo orally once daily for 12 weeks. Hemoglobin (Hb) concentration and absolute tissue oxygen saturation (SO2) in the bilateral PFC were evaluated under resting conditions using tNIRS. We found that baseline concentrations of hemoglobin and total hemoglobin in the right PFC significantly increased after administration of PQQ (p < 0.05). In addition, decreases in SO2 level in the PFC were more pronounced in the PQQ group than in the placebo group (p < 0.05). These results suggest that PQQ causes increased activity in the right PFC associated with increases in rCBF and oxygen metabolism, resulting in enhanced cognitive function. Pyrroloquinoline quinone stimulates mitochondrial biogenesis through cAMP response element-binding protein phosphorylation and increased PGC-1alpha expression. J Biol Chem. 2010 Jan 1;285(1):142-52. Bioactive compounds reported to stimulate mitochondrial biogenesis are linked to many health benefits such increased longevity, improved energy utilization, and protection from reactive oxygen species. Previously studies have shown that mice and rats fed diets lacking in pyrroloquinoline quinone (PQQ) have reduced mitochondrial content. Therefore, we hypothesized that PQQ can induce mitochondrial biogenesis in mouse hepatocytes. Exposure of mouse Hepa1-6 cells to 10-30 microm PQQ for 24-48 h resulted in increased citrate synthase and cytochrome c oxidase activity, Mitotracker staining, mitochondrial DNA content, and cellular oxygen respiration. The induction of this process occurred through the activation of cAMP response element-binding protein (CREB) and peroxisome proliferator-activated receptor-gamma coactivator-1alpha (PGC-1alpha), a pathway known to regulate mitochondrial biogenesis. PQQ exposure stimulated phosphorylation of CREB at serine 133, activated the promoter of PGC-1alpha, and increased PGC-1alpha mRNA and protein expression. PQQ did not stimulate mitochondrial biogenesis after small interfering RNA-mediated reduction in either PGC-1alpha or CREB expression. Consistent with activation of the PGC-1alpha pathway, PQQ increased nuclear respiratory factor activation (NRF-1 and NRF-2) and Tfam, TFB1M, and TFB2M mRNA expression. Moreover, PQQ protected cells from mitochondrial inhibition by rotenone, 3-nitropropionic acid, antimycin A, and sodium azide. The ability of PQQ to stimulate mitochondrial biogenesis accounts in part for action of this compound and suggests that PQQ may be beneficial in diseases associated with mitochondrial dysfunction. Well, I found an older thread where folks were discussing PQQ. No one yet has reported that it gave them wings though. I also found that it's naturally found in some foods. From the table below, it looks like papaya, kiwi, spinach and celery are all pretty good sources. Still, here we're talking about µg levels and supplements are usually 10-20 mg. I found this article and came to see what TIMS had experienced - I had just read about PQQ and goggled 'PQQ and MS'. Like you I wanted to know if anyone had tried this....seems not! Effect of the Antioxidant Supplement Pyrroloquinoline Quinone Disodium Salt (BioPQQ™) on Cognitive Functions. Adv Exp Med Biol. 2016;876:319-325. Pyrroloquinoline quinone (PQQ) is a quinone compound first identified in 1979. It has been reported that rats fed a PQQ-supplemented diet showed better learning ability than controls, suggesting that PQQ may be useful for improving memory in humans. In the present study, a randomized, placebo-controlled, double-blinded study to examine the effect of PQQ disodium salt (BioPQQ™) on cognitive functions was conducted with 41 elderly healthy subjects. Subjects were orally given 20 mg of BioPQQ™ per day or placebo, for 12 weeks. For cognitive functions, selective attention by the Stroop and reverse Stroop test, and visual-spatial cognitive function by the laptop tablet Touch M, were evaluated. In the Stroop test, the change of Stroop interference ratios (SIs) for the PQQ group was significantly smaller than for the placebo group. In the Touch M test, the stratification analyses dividing each group into two groups showed that only in the lower group of the PQQ group (initial score<70), did the score significantly increase. Measurements of physiological parameters indicated no abnormal blood or urinary adverse events, nor adverse internal or physical examination findings at any point in the study. The preliminary experiment using near-infrared spectrometry (NIRS) suggests that cerebral blood flow in the prefrontal cortex was increased by the administration of PQQ. The results suggest that PQQ can prevent reduction of brain function in aged persons, especially in attention and working memory. 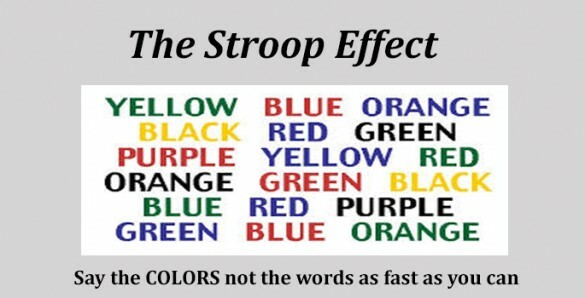 The Stroop Test: First say the word and ignore the color. Then, say the color and not the word. The difference in the speed of the two is the Stroop interference. Pyrroloquinoline quinone against glutamate-induced neurotoxicity in cultured neural stem and progenitor cells. Int J Dev Neurosci. 2015 May;42:37-45. Pyrroloquinoline quinone (PQQ), as a well-known redox enzyme cofactor, has been proven to play important roles in the regulation of cellular growth and development in mammals. Numerous physiological and medicinal functions of PQQ have so far been reported although its effect on neural stem and progenitor cells (NS/PCs) and the potential mechanism were even rarely investigated. In this study, the neuroprotective effects of PQQ were observed by pretreatment of NS/PCs with PQQ before glutamate injury, and the possible mechanisms were examined. PQQ stimulated cell proliferation and markedly attenuated glutamate-induced cell damage in a dose-dependent manner. By observing the nuclear morphological changes and flow cytometric analysis, PQQ pretreatment showed its significant effect on protecting NS/PCs against glutamate-induced apoptosis/necrosis. PQQ neuroprotection was associated with the decrease of intracellular reactive oxygen species (ROS) production, the increase of glutathione (GSH) levels, and the decrease of caspase-3 activity. In addition, pretreatment with PQQ also significantly enhanced the activities of superoxide dismutase (SOD), catalase (CAT) and glutathione peroxidase (GPx) in the NS/PCs exposed to glutamate. These results suggest that PQQ can protect NS/PCs against glutamate toxicity associated with ROS-mediated mitochondrial pathway, indicating a useful chemical for the clinical application of NS/PCs. NHE wrote: I also found that it's naturally found in some foods. From the table below, it looks like papaya, kiwi, spinach and celery are all pretty good sources. Still, here we're talking about µg levels and supplements are usually 10-20 mg. The data in the above table appears as though it likely came from the following paper. Biochem J. 1995 Apr 15; 307(Pt 2): 331–333. The levels of free pyrroloquinoline quinone (PQQ) in various foods were examined by the use of gas chromatography-mass spectrometry. PQQ was extracted from the samples, after addition of [U-13C]PQQ as internal standard, with n-butanol and Sep-Pak C18 cartridges. After derivatization of PQQ with phenyltrimethylammonium hydroxide, molecular peaks at m/z 448 and 462 were used for detection of PQQ and [U-13C]PQQ respectively, by selected ion monitoring. Free PQQ could be detected in every sample in the range 3.7-61 ng/g or ng/ml. Since its levels in human tissues and body fluids are 5-10 times lower than those found in foods, it is probable that PQQ existing in human tissues is derived, at least partly, from the diet. Stimulation of nerve growth factor production by pyrroloquinoline quinone and its derivatives in vitro and in vivo. Biosci Biotechnol Biochem. 1993 Jul;57(7):1231-3. Pyrroloquinoline quinone (PQQ), which is a cofactor of microbial quinoprotein enzymes, was found to be a potent enhancer of nerve growth factor (NGF) production in vitro. One of PQQ derivatives, oxazopyrroloquinoline trimethylester, had little activity in vitro, but increased the NGF content in rat brain in vivo. Stimulation of nerve growth factor synthesis/secretion in mouse astroglial cells by coenzymes. Biochem Mol Biol Int. 1993 Jul;30(4):615-21. We examined the effect of coenzymes such as PQQ, pyrroloquinoline quinone; TOPA, 3-(2,4,5-trihydroxyphenyl)-DL-alanine, and lipoic acid on nerve growth factor (NGF) synthesis in mouse astroglial cells, BALB c/3T3 cells, and WS-1 cells in culture. These coenzymes had a stimulating effect on NGF synthesis without causing cytotoxicity. Especially PQQ showed the strongest activity of promoting NGF synthesis in astroglial cells, whereas lipoic acid had the strongest effect on BALB c/3T3 cells. The activity may not due to the catechol ring or 1,4-benzoquinone ring, but due to the oxidative or reductive activity. These results suggest that these coenzymes may play a role in NGF synthesis and neuronal survival through the stimulating effect of the NGF synthesis in brain and such compounds are good candidates as NGF inducers. Dietary pyrroloquinoline quinone (PQQ) alters indicators of inflammation and mitochondrial-related metabolism in human subjects. J Nutr Biochem. 2013 Dec;24(12):2076-84. Pyrroloquinoline quinone (PQQ) influences energy-related metabolism and neurologic functions in animals. The mechanism of action involves interactions with cell signaling pathways and mitochondrial function. However, little is known about the response to PQQ in humans. Using a crossover study design, 10 subjects (5 females, 5 males) ingested PQQ added to a fruit-flavored drink in two separate studies. In study 1, PQQ was given in a single dose (0.2 mg PQQ/kg). Multiple measurements of plasma and urine PQQ levels and changes in antioxidant potential [based on total peroxyl radical-trapping potential and thiobarbituric acid reactive product (TBAR) assays] were made throughout the period of 48 h. In study 2, PQQ was administered as a daily dose (0.3 mg PQQ/kg). After 76 h, measurements included indices of inflammation [plasma C-reactive protein, interleukin (IL)-6 levels], standard clinical indices (e.g., cholesterol, glucose, high-density lipoprotein, low-density lipoprotein, triglycerides, etc.) and (1)H-nuclear magnetic resonance estimates of urinary metabolites related in part to oxidative metabolism. The standard clinical indices were normal and not altered by PQQ supplementation. However, dietary PQQ exposure (Study 1) resulted in apparent changes in antioxidant potential based on malonaldehyde-related TBAR assessments. In Study 2, PQQ supplementation resulted in significant decreases in the levels of plasma C-reactive protein, IL-6 and urinary methylated amines such as trimethylamine N-oxide, and changes in urinary metabolites consistent with enhanced mitochondria-related functions. The data are among the first to link systemic effects of PQQ in animals to corresponding effects in humans. Pyrroloquinoline Quinone, a Redox-Active o-Quinone, Stimulates Mitochondrial Biogenesis by Activating the SIRT1/PGC-1α Signaling Pathway. Pyrroloquinoline quinone (PQQ), a redox-active o-quinone found in various foods and mammalian tissues, has received an increasing amount of attention because of a number of health benefits that can be attributed to its ability to enhance mitochondrial biogenesis. However, its underlying molecular mechanism remains incompletely understood. We have now established that the exposure of mouse NIH/3T3 fibroblasts to a physiologically relevant concentration of PQQ significantly stimulates mitochondrial biogenesis. The exposure of NIH/3T3 cells to 10-100 nM PQQ for 48 h resulted in increased levels of Mitotracker staining, mitochondrial DNA content, and mitochondrially encoded cytochrome c oxidase subunit 1 (MTCO1) protein. Moreover, we observed that PQQ treatment induces deacetylation of the peroxisome proliferator-activated receptor-γ-coactivator 1α (PGC-1α) and facilitates its nuclear translocation and target gene expression but does not affect its protein levels, implying increased activity of the NAD+-dependent protein deacetylase sirtuin 1 (SIRT1). Indeed, treatment with a SIRT1 selective inhibitor, EX-527, hampered the ability of PQQ to stimulate PGC-1α-mediated mitochondrial biogenesis. We also found that the PQQ treatment caused a concentration-dependent increase in the cellular NAD+ levels, but not the total NAD+ and NADH levels. Our results suggest that PQQ-inducible mitochondrial biogenesis can be attributed to activation of the SIRT1/PGC-1α signaling pathway by enhancing cellular NAD+ formation. In your med and supplement list that you laid out in response to an earlier question of mine about your routing, you mention taking PQQ. Since I’m very interested in the mitochondrial dysfunction theory of MS, I just read whole PQQ thread. Which brand PQQ are you taking and how much? When I get the results of my latest pee test back (Genova’s Urine Organic Acids Profile) I will let you all know what my naturopath says about PQQ for high urinary lactate, as this has been one of the main things we’ve focused on addressing (because she knew long before she mentioned it to me that she was zeroing in on Lactate as one of the most important markers on this test). Even though she only has one patient on this board, she’s very neurodegeneration savvy, so her 2 cents experience on Lactate + PQQ may be of use. I have only been taking PQQ for 4 months. I take 20 mg/day. I take it with food. If I take it on an empty stomach, then it makes my left ear and left side of my forehead feel warm. Another mitochondrial supplement that you might be interested in is nicotinamide riboside. It's a precursor for NAD+. I bought this today - it was an additive in a Life Extension Mitochondrial Basics supplement. The main ingredients are 300 mg L-taurine and 150 mg bio-enhanced R-Lipoic acid with just 10mg of PQQ. I was after the RLA which they didn't have so I thought I'd give this a try. Are you still taking it? Have you felt any benefits or otherwise? Yes. I've been taking 20 mg PQQ for almost a year now. I use the Doctor's Best brand. Some days I find that it helps with my cognitive energy. Ok - that sounds positive - thanks.